Frank Castle: War Machine! For years, Frank has been fighting his one-man war as the Punisher, targeting criminals who endanger the innocent and dispatching them with lethal force. He's used all the tools at his disposal, and he's gotten extremely good at his self-appointed job. But he's always been limited by the fact that he's just one man, fighting an endless war. So when a certain one-eyed operative offers Frank the tools to take his fight global, how could he say no? 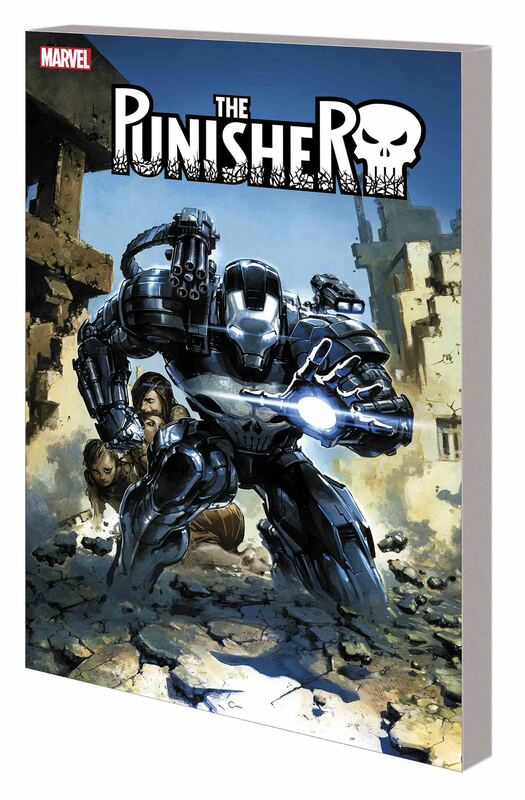 That's right: Frank Castle dons the high-tech armor of War Machine! Find out how, why - and what his next move is! And when Frank flies deep into enemy territory, can the "War Machine" navigate both the soldiers and the citizens in this unfamiliar, war-torn land before his ruthless adversary unleashes the nuclear option?